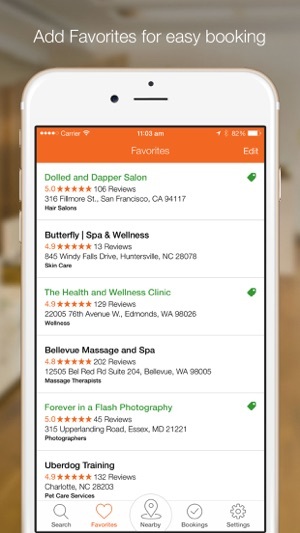 Genbook is the most convenient way to instantly book appointments with your favorite businesses. 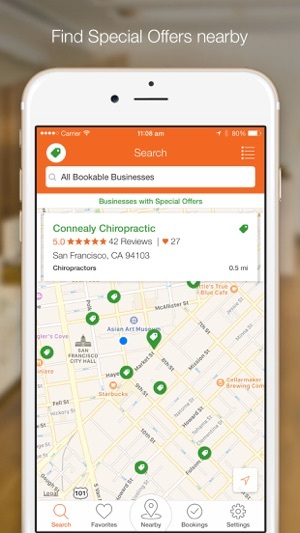 Connect with tens of thousands of local service professionals to find, book, and even pay, right from your iPhone. 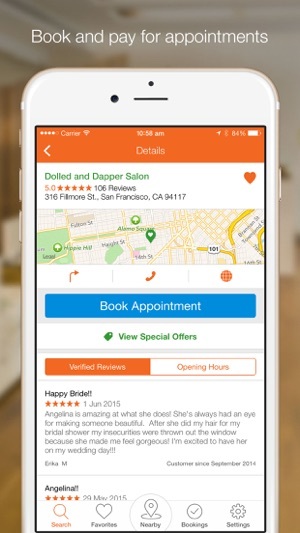 Genbook is the go-to app for your local appointments. Choose the time that’s right for you, at your convenience, 24/7. • Book from your Favorites list with just a few clicks. • View up-to-date business details, services, and prices. • See real-time availability and get instant confirmation. 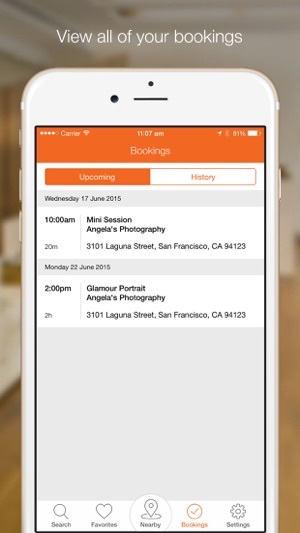 • Manage your upcoming appointments and booking history. • Rebook, reschedule, or cancel with ease. 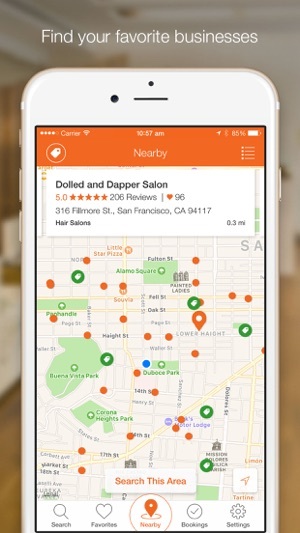 • Discover new bookable businesses nearby. • Read Verified Customer Reviews & Ratings to learn what makes Genbook businesses so amazing! Schedule appointments for Massage & Spa, Hair & Beauty, Wellness, Medical & Dental, Home Services, Sports & Fitness, Education & Instruction, Alternative Medicine, Cleaners, Counseling, Pets, Financial, Tax, Law, Photography, and much more. When you register and validate your email address, the app will automatically sync your booking history and your favorite Genbook businesses. Email questions or feedback to support@genbook.com. Looking for the perfect gift? Get your favorites their favorites. Gift Certificates are a great idea for any occasion and you can now purchase gift certificates of your chosen value from your favorite Genbook business when they enable Gift Certificate sales. First I’d like to start out with Kim is amazing and one of the most easiest persons to communicate and have an understanding to her clients that I’ve ever met. My daughter sees her on a weekly basis and I don’t know what I would do without her. Bring the professional that she is she gives my daughter all the tools that she needs to continue to strive to be a better child and deal with the school issues that she’s had. Kim is a very caring therapist and I wouldn’t choose any other therapist over Kim even if it’s the end of the world!!!!!!!!!!!! I really enjoy using the app. It saves me an incredible amount of time as I am always rushing in between work appointments. I'm really glad to have this convenience. Once you try it you'll be hooked. And my barber Curtis is incredible. Always available, and always ready with the good clippers and always keeping me looking ready for my most important appointments. Check him out. But not on the days that I'm trying to come.